KABAL AND D'VORAH IN MORTAL KOMBAT 11! On this Tuesday, 5 of February, NetherRealm Studios broadcast Kombat Kast where Kabal's participation in Mortal Kombat 11 was revealed, a classic character that was in Mortal Kombat 3. It has already been confirmed that unlike previous games, Kabal will use more of his swords, having his classic move Nomad Dash brought back. Both his special attacks and fatality involve super speed. 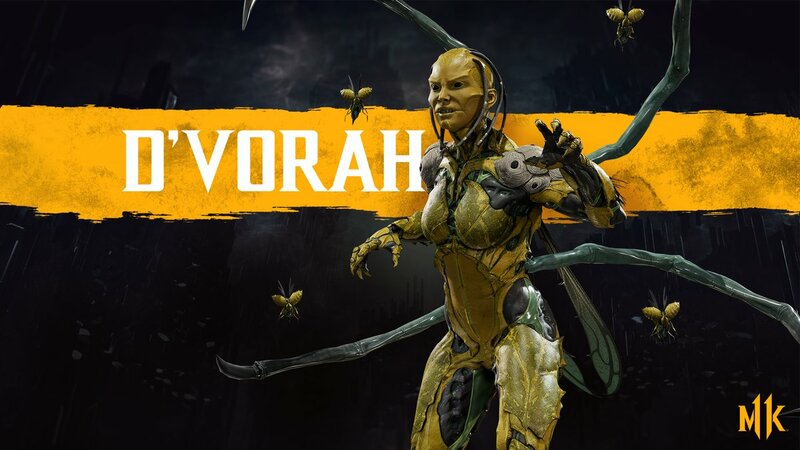 Another confirmed character for Mortal Kombat 11 is the insectoid D'Vorah. During the transmission of Inside Box, the character was announced as a villain. The first appearance of the insectoid was in Mortal Kombat X.
Mortal Kombat 11 is the direct continuation of Mortal Kombat X, where Raiden is portrayed as a character corrupted by evil powers. The mysterious Kronika is highlighted to change the events of the saga one more time, previously being behind the scenes of the saga. The MK 11 release will be on April 23rd and will be available for Playstation 4, Xbox One, Nintendo Switch, and PC. Fight in memorable battles in your favorite game using NoPing! Test NoPing 7 days free and play without lags!